In 1996 a video game called Quake was released that changed first person shooters forever, inspiring the genre's evolution to true texture-mapped polygon 3D graphics.... though it didn't happen right away. You see, there was another game released in 1996 called Duke Nukem 3D and it sold a whole lot of copies, so developers were keen on getting their own Build Engine powered games onto shelves before 2.5D sprite-based first person shooters disappeared forever. 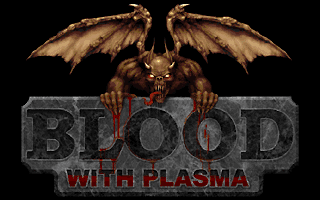 Blood actually began development at Q Studios, an independent developer funded by 3D Realms, but the studio and rights were bought by Monolith, who finished the game themselves after 3D Realms let it go to focus on Shadow Warrior and their big fully 3D super project... Duke Nukem Forever. I've already played both Duke 3D and Shadow Warrior, but it didn't seem right somehow to leave out the other famous Build Engine game, so I'm giving this quick look as well. I wouldn't hold your breath waiting to see me play Redneck Rampage though. 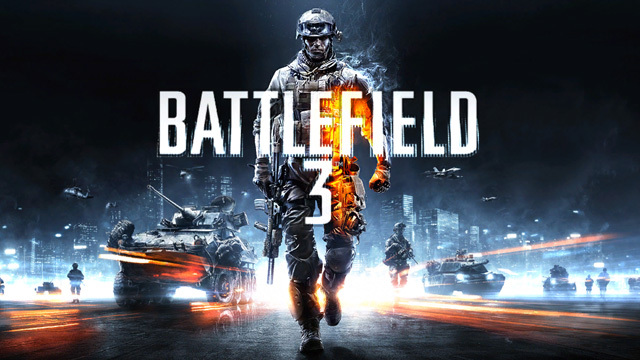 Today I'm taking a quick look at relatively recent Modern Warfare clone Battlefield 3, though considering the length of military shooters these days I may accidentally finish the whole thing. So there's a non-zero chance that I'll end up spoiling the entire game's plot here, consider yourself warned. I've heard a few rumours around that the game's multiplayer mode is fantastic, far better than the single player campaign, so I'm of course going to ignore it entirely. Not that I've got anything against multiplayer, it's just not really what I do here. (Click the images to view them at 1280x720 res. Not exactly mindblowing I know but it's the best I can do with my ancient relic of a PC). 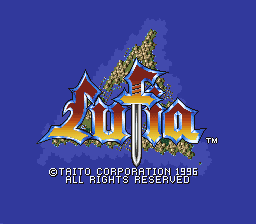 Ignore what the title screen says; today's game is actually Lufia II: Rise of the Sinistrals for the Super Nintendo. They dropped the number for the European version as the first game wasn't released over here and they didn't want consumers to have the unnecessary distraction. To be fair, the game's a prequel so it probably stands on its own just fine. People have been asking me to take a look at this one forever; so of course I ignored them all and played the original Lufia instead. But today I'm finally playing the one that everyone's been recommending to me. This is the good Lufia (apparently). Now that's the kind of picture I like to see when I put a video game on. 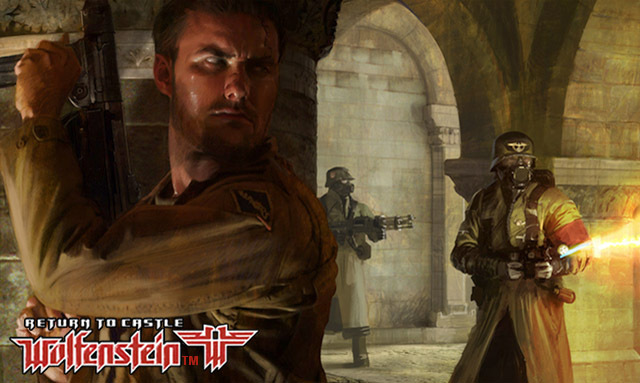 Today I'm playing Return to Castle Wolfenstein, third in id Software's Wolfenstein franchise, though it was developed by Gray Matter and Nerve. This was actually Grey Matter's only game before they were absorbed by CODBlops devs Treyarch, though they'd made games like Redneck Rampage and Kingpin: Life of Crime in their previous life as Xatrix Entertainment. Perhaps not a very interesting fact, but I just wanted an excuse to type CODBlops. Here's another potentially underwhelming fact: I've played and finished this game before, so I'm not coming into it even slightly unaware of what to expect. Though I'll make every effort to pretend to be surprised. 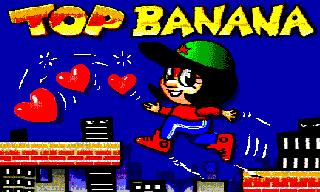 Today I'm taking a quick look at obscure Amiga platformer Top Banana, because I must. I played this once when I was really young you see and it's haunted it me ever since. I can't actually remember anything about the game though, like I've formed a mental block in my head to protect myself from going entirely mad by thinking about it. But the time's come to confront the game one final time and hopefully get some closure on it. Warning some/all of the screenshots in this post could likely give anyone a seizure, especially the image coming up next. First up, I want to apologise to the guy who was kind enough to gift this game to me as I've taken forever to get around to playing it. For a while I at least had the excuse of it not actually being finished yet, but that hasn't been true since it was released back in April, so I'm sorry about that. I done fucked up. 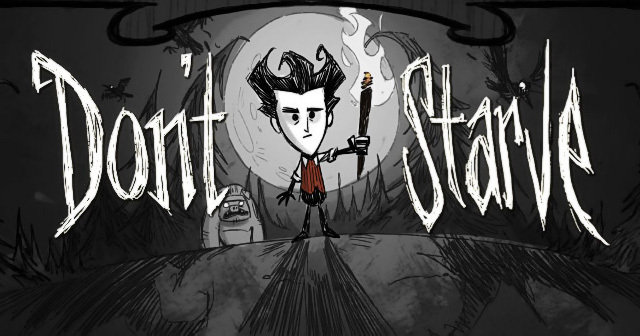 Today I'm taking a short look at Don't Starve, an "uncompromising wilderness survival game" by Klei, the makers of Shank and Mark of the Ninja... both of which I haven't played yet either. Man I really am bad at this. Anyway, the developers say that part of the fun of the game is trying new stuff out and learning things for yourself. So if you've got any interest in playing the game and haven't already, by reading this you'll apparently be depriving yourself of fun. Just thought I'd warn you.